Provide comfort for the family of George Cox with a meaningful gesture of sympathy. George Mullen Cox of Solebury, PA passed away peacefully in his sleep on Sunday, January 20, 2019 at Neshaminy Manor Nursing Home. He was 94. He is survived by his beloved wife of 66 years, Elizabeth (Genzken), and his two daughters Laura Kessler (Lou) of Buckingham and Nancy Lawson (Frank) of Solebury and his five grandchildren, Stephen and Amanda Kessler and Joseph, Julia, and Megan Lawson. Born February 13, 1924 in Hoboken, NJ, he was particularly close to his mother, Bridget (Bess) Mullen Cox. In addition to his parents, he was predeceased by his siblings William, Edna Seigler, Beth Lowrie, and James. He grew up in Hoboken, then began married life in Lyndhurst, NJ and raised his family primarily in Somerville, NJ. He retired to Toms River, NJ for 20 years before moving to Solebury, PA eight years ago to be close to his daughters and grandchildren. Mr. Cox was part of America’s Greatest Generation and instilled the lessons he learned during the Great Depression to his daughters. 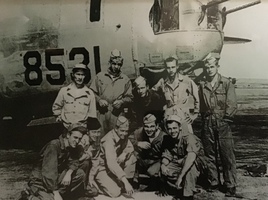 He proudly served as a radio operator and navigator on a B-24 for the Army Air Corps in World War II. He earned Bachelor’s and Master’s degrees in English from Montclair State University and a Master’s Degree in Education from Trenton State College. He also completed courses at Rutgers University, Seton Hall University, Jersey City State College, William Patterson College, and Ocean County Community College. Mr. Cox began his career in education, serving as a teacher on a Native American reservation in South Dakota. He taught for the Hoboken and Chester, NJ school districts for 15 years. He discovered his love of counseling and served for 20 years as an employment counselor for the NJ Department of Labor, helping many people find jobs or receive training to begin new careers. Mr. Cox volunteered as a counselor for the Mental Health Association, even taking crisis phone calls on his home telephone. He was a founding member of the Mental Health Players, leading interactive performances at nursing homes, schools, and community groups. He was involved as an actor and director in Little Theater organizations throughout Central New Jersey, including Circle Players, Foothill Players, Martinsville Players, and Somerset Valley Players. After retiring, he earned a certificate in Drama Therapy from the New School in New York City. He wrote poems and short stories, submitting a weekly senior’s column in the Ocean County Observer and has been published in Reminisce Magazine. He founded a writer’s group in Toms River, NJ. He also served as a lead volunteer in the Emergency Room at the Community Medical Center in Toms River. Mr. Cox enjoyed traveling throughout the United States and internationally and spending time with his grandchildren. He will be greatly missed by his wife, daughters, and grandchildren. A memorial service will be held at the Varcoe-Thomas Funeral Home, 344 North Main Street, Doylestown, PA 18901 on Thursday, January 31st at 8:00 pm. The family will receive their friends from 7:00-8:00 pm at the funeral home prior to the service. A committal service with military honors will be held at Washington Crossing National Cemetery, 830 Highland Road, Newtown, PA 18940 on Friday, February 1st at 10:30 am. Please arrive at cemetery no later than 10:15 am. Donations can be made in Mr. Cox’s name to the Alzheimer’s Association or a veteran’s organization of your choice. 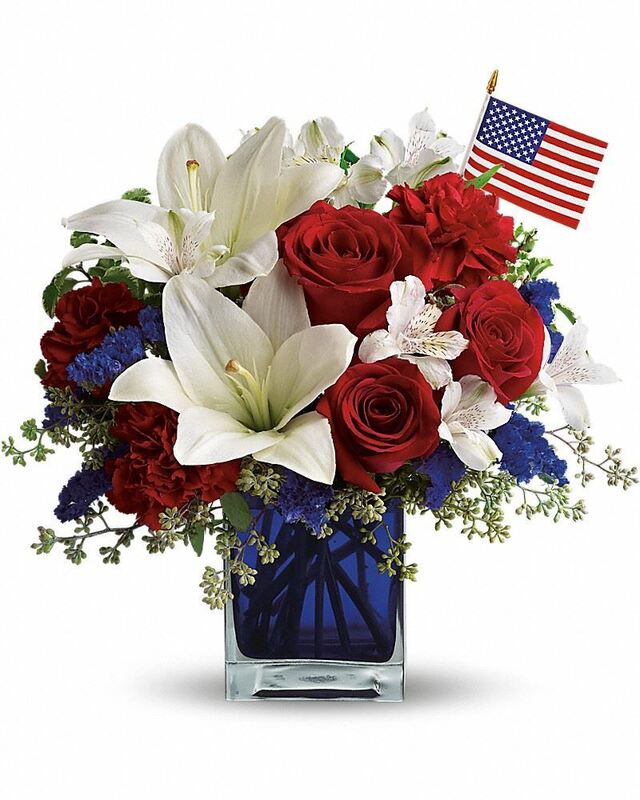 To send flowers in memory of George Mullen Cox, please visit our Heartfelt Sympathies Store. The family will receive their friends at the funeral home from 7:00-8:00 pm prior to the 8:00 pm memorial service. From your colleagues at ABC sent flowers to the family of George Mullen Cox. Heartfelt Sympathies Store purchased flowers for the family of George Cox. Laura and Family, Thinking of you and your entire family at this time, wishing you all hope in the midst of sorrow, and comfort in the midst of pain. From your colleagues at ABC purchased flowers for the family of George Cox.